Hazardous materials should always be removed by a certified professional, but what is considered a hazardous material. We get a lot of questions asking if certain materials are hazardous and in most cases it is. If you believe you have an item that is a hazardous material, never hesitate to call a professional like Colorado Hazardous Environmental. They have the proper tools to ensure safe removal of hazardous materials from your home or business. Below we will discuss some of the more common hazardous materials that pose a real danger to your health! Asbestos is a hazardous material that can cause cancer. Asbestos is dangerous, and asbestos exposure happens without you ever knowing. Asbestos fibers cannot be seen, and they can easily attach to clothing and other items, causing you to transport it from one place to another. This is what makes asbestos so dangerous; you never know if you have been exposed. If you know you have asbestos in your home or business, never try to remove it. Lead-based paint is still a concern, as it is very hazardous to the young, elderly, and pregnant women. Lead can cause major health concerns including cognitive problems, heart issues, and even seizures. If you have lead paint in your home or business, call a professional to have it removed. Mold stains mean you have a mold overgrowth. This overgrowth is usually hidden behind walls, in crawlspaces, attics, and basements. 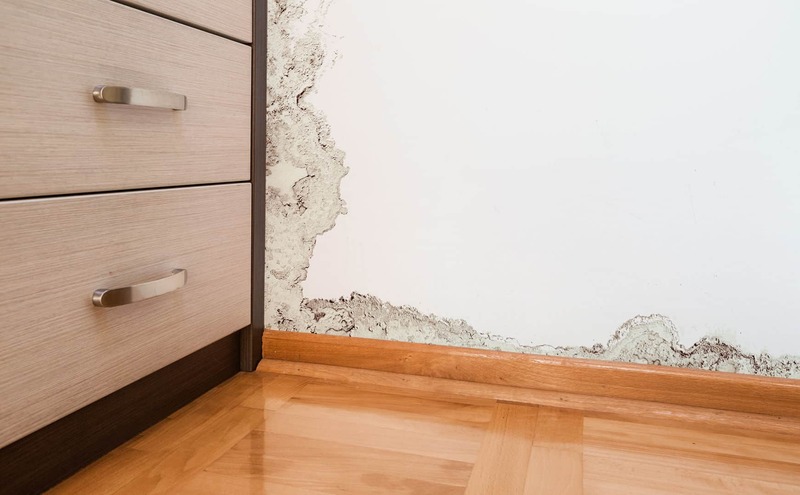 Once you see mold stains, it means you have a mold problem. Mold can cause severe respiratory illnesses and must completely be removed. If even a single mold spore is left behind, the mold will continue to grow. A certified mold removal specialist will ensure all mold is removed and that whatever caused the mold is also repaired. No one wants to talk about crime scene or suicide cleanup, but it happens on a daily basis. Once police clear the area, you will need to have the area cleaned. Whom do you call? Always call a hazardous materials cleanup company, as blood and other liquids may have diseases.